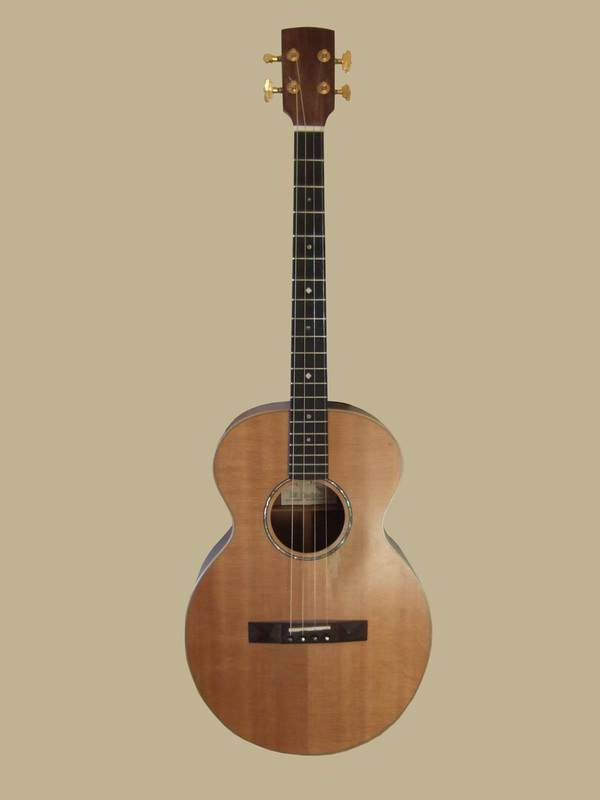 When I commissioned my tenor guitar from Ian Chisholm, there was wood left over - English walnut and Sitka spruce. I had my 65th birthday bash in a local pub one Sunday afternoon and evening - about 70 people, musicians and other friends and family - and in walked Ian carrying the mandolin with a nice bow tied round the fretboard! The instrument label is signed by all the (then) members of the Unreel Ceilidh Band, with whom I'm still playing years later - so I must be doing something right! It's a sweet sounding mandolin, with bags of projection and, as you can see from the picture, has been well played in. I use Elixir Nanoweb .010 strings on it.